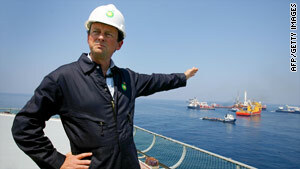 BP CEO Tony Hayward apologized Wednesday for comments he made about wanting his life back. 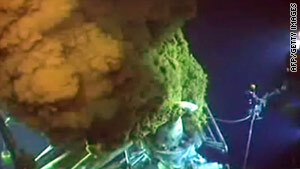 BP engineers have placed a cap on their leaky pipe a mile under the surface of the Gulf of Mexico. When you look at the underwater live video feed you may be wondering why it looks like oil still spewing from the damaged well. That's because BP says it's now working to close four vents in the cap where oil is still escaping. Today during his third trip to Louisiana, President Obama said it's "way too early to be optimistic" about the effort. Officials should know if it's a success or failure in the next 24 to 48 hours, he said. Meanwhile, the oil is heading farther east along the Florida panhandle. The National Oceanic and Atmospheric Administration (NOAA) said oil could be onshore in Destin by Saturday afternoon. BP said today it's promising a second-round of $5,000 compensation payments for fishermen. But, Louisiana Governor Bobby Jindal is wondering why his state hasn't been paid yet for the dredging berms to protect marshes and barrier islands. "Our people deserve to be fully compensated for their losses. Instead of BP shelling out $50 million on an ad campaign that promises to do good work in responding to this spill, BP should just focus on actually doing a good job and spend the $50 million on assistance to our people, our industries and our communities that are suffering as a result of this ongoing spill," Jindal said in a news release. Pres. Obama also blasted BP for its $50 million PR offensive. We'll have that on the program for you. You'll also hear from workers who survived the rig explosion 46 days ago. Don't miss Anderson exclusive interview. The men share what happened to them on April 20th when 11 of their co-workers died in the blast. We'll also have the latest comment from BP CEO Tony Hayward that shocked some today. A message about "sticks and stones." Randi Kaye has an up close look at the man who's in charge of the BP and under fire. 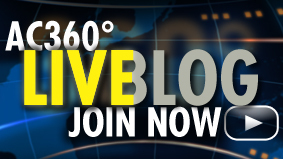 Join us for the latest on the oil disaster starting at 10 p.m. ET on CNN. See you then. Tonight on 360°, Anderson's exclusive interview with five survivors of the oil rig disaster. Plus, the latest on the efforts to stop the oil leak, save the wildlife and more. A CNN exclusive. CNN's Anderson Cooper has just interviewed a group of survivors from the sunken Deepwater Horizon oil rig. This is the first time a group of survivors has sat together in an interview and spoken publicly about what they went through. Their stories provide perhaps the most detailed account so far of what happened when the rig caught fire and exploded on April 20th. "Justin photographed with a bottle of his hair gel." "OMG I so thought that was the Goblet of Fire." 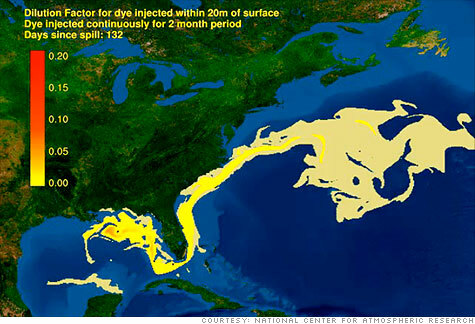 Beyond the Gulf, there is a danger the oil could get caught up in the Gulf Stream, which would send it up the eastern seaboard. The bad news is: Things in the Gulf of Mexico could get a whole lot worse. So far, the leaking BP well has spewed out as much as 630,000 barrels, making it the worst oil spill in U.S. history. BP (BP) continues to try ad-hoc fixes, which have included filling the hole with bits of old tires and placing an upside down funnel over it. On Thursday night, the company said it had put a cap on the ruptured well in an attempt to channel the oil to a tanker on the surface. While hoping for the best, most people are now planning for the worst. That means, at the earliest, waiting until August, which is when BP says a relief well should be completed. 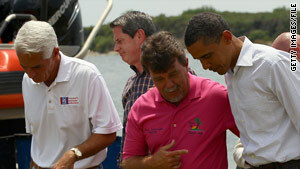 Grand Isle, Louisiana, Mayor David Camardelle speaks with President Obama last week. President Obama is set to return to Louisiana on Friday for his second trip to the Gulf region in two weeks as the administration works to contain the BP oil spill and stay on top of what has now become a major political issue. Among other things, Obama is scheduled to visit to Louisiana's Grand Isle and meet with local business leaders directly affected by the spill. He'll also meet with U.S. Coast Guard Adm. Thad Allen - the federal government's response manager - and state and local elected officials. Obama's latest visit comes as BP has finally started to siphon oil from the ruptured undersea well. BP is preparing to shut four vents on top of a containment cap from which oil has been escaping into the ocean. Closing the vents would greatly reduce the amount of oozing crude. Hurricanes in the Gulf of Mexico would force the shutdown of BP's relief well operations, further hampering what BP has said is the best sure-fire way of plugging the massive oil leak. "How much time you could potentially lose when you shut down for a hurricane is more or less controlled by the circumstances," said Dave Rensink, the incoming president of the American Association of Petroleum Geologists. BP has said it hopes to have a relief well in place in August to permanently cut off the gusher. But that's based on the "assumption there's no major tropical disturbances in the Gulf," BP spokesman Ray Viator told CNN.